The boreal forest is the ecosystem that is expected to be affected the most by future climatic changes. This is because of its high latitude location and its climatic sensitivities. 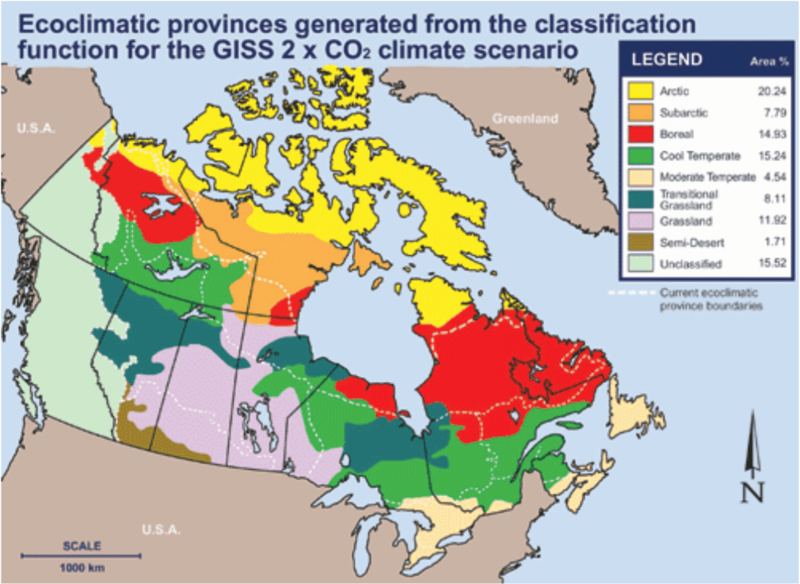 In general, our boreal forest is likely to decrease in area and biomass and its southern boundary will change. Growth and productivity could decrease in the south if there are increased droughts (2). There could be improved growth in central and northern regions. However, the concern is that the northern soils will not be able to support southern forest types until the soil develops further, which could take up to 10,000 years (3). There may be a shift in species with an increased occurrence of lodgepole pine and trembling aspen, and reduced abundance of spruces and firs. Due to increased dryness, there could be an increase in the number of forest fires (4). Damage from insects and diseases could increase. The mountain pine beetle attacks and kills lodgepole pine. It is normally contained by cold winters, but recent warmer winters have resulted in an explosion in beetle population. Since 1997, mountain pine beetles have infested over 300,000 hectares of lodgepole pine forests in BC’s central interior (5). 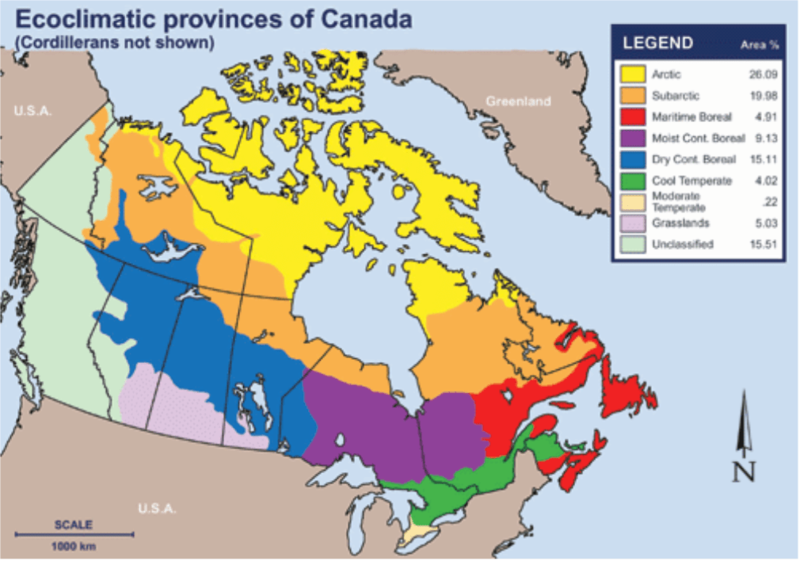 The beetles have moved east of the rockies and their populations have been on the rise in Alberta since 2000 (6). Adaptive capacity in the forestry sector could be enhanced by the adoption of methods such as the Sustainable Forest Management criteria, as well as certification procedures indicating that forestry products are produced from a sustainably managed forest land base. There are some who fear that present practices of restocking or natural regeneration may fail as the climate becomes warmer and drier. If natural adaptation is too slow, forest loss could be irreversible. To counter this, some experts suggest a proactive approach to adaptation, meaning introduce alien species (7). However, introducing alien species brings a risk of hybridization with local species and the importation of unintended species, pests, or diseases associated with the alien species. It is possible to introduce alien species with little hybridization potential and low invasiveness, but there is no guarantee of either reversibility or successful naturalization. Another potential, yet controversial, management option is to “accelerate capture before loss” (8). Under this option, timber harvest is accelerated to maximize one-off resource use of a forest not expected to regenerate. This method is being used in BC as a response to the mountain pine beetle infestation.